Tax relief attorneys help clients negotiate with the IRS with the goal of either reducing their tax debt or making it more manageable. You may be able to arrange an offer in compromise, where the IRS settles your tax debt for a reduced amount. Or, you may be eligible for an installment agreement or payment plan. 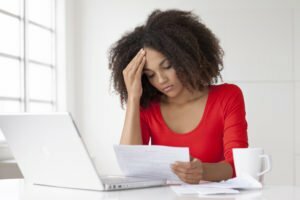 Additionally, tax relief lawyers can help you with the negative ramifications of unpaid taxes, including tax liens and levies. Tax liens assert a legal claim to all of your property — including future acquisitions. A lien does not actually take your property. Instead, it secures the government’s claim against your property. It can be very difficult to sell or refinance a property on which a lien has been asserted. Moreover, if the property is sold, the IRS tax lien amount must be paid from the proceeds. In addition to the lien itself, the IRS will file a public Notice of Federal Tax Lien. This notice will appear on credit checks — and can seriously impact your credit score and ability to get a loan. In addition, the government can put a lien on individual pieces of property, like your home if you’re delinquent in paying property taxes. In doing so, they can sell auction off the lien to a private investor in order to recoup the delinquent tax money. The investor purchases the lien and collects interest on the debt. In the event that the debtor does not repay the investor who owns the lien, the property which backs the lien will default to the investor. In other words, your property becomes the investor’s property. Investors are more than happy to purchase tax liens from the government because the investment is a sure thing. Either they are repaid the debt at interest or they become the owner of the property. While Virginia is not among the over 30 states that auction off tax liens in this manner, that could change in the future as many states have reaped a significant benefit from the process. Withdrawal: eliminating the lien’s public notice. And, under the Fresh Start Program, you may be eligible for withdrawal of the lien if you have a direct debit installment plan and meet other criteria. Once you fully pay or settle your tax debt, the IRS should remove its liens within 30 days. Occasionally, people discover old liens that were not removed. If you need help determining whether you owe taxes or are eligible for the release of a tax lien, contact a lawyer. It can be difficult to handle tax lien removal on your own. The process typically includes assessing your finances, tax burden, and legal rights. Experienced tax relief attorneys can evaluate your situation and eligibility and create a customized solution. What Is an IRS Tax Levy? The concept of a lien is quite different than a levy. A lien asserts a legal claim to your property based on a debt that is owed. A levy is when the government actually takes the property. If there is a tax lien on your property, the IRS can initiate a levy. Typically, levies are made on bank accounts, but they can logistically be made on any kind of property that is considered valuable. The IRS simply takes the property and then liquidates it. The IRS must send you a Notice and Demand for Payment. After doing so, you ignored or refused to pay the tax. The IRS then sent you a Final Notice of Intent to Levy and a Notice of Your Right to a Hearing. Typically, the IRS we’ll deliver these notices in the most formal way possible. This may be in person, at your home, or via certified mail with return receipt requested. The IRS can levy just about anything. In most cases, the IRS will garnish wages or levy bank accounts. The IRS can also seize personal property, investments, and any other kind of asset that is held in your name. This includes investments that would be off-limits to other creditors including retirement funds. What Items Are Exempted From an IRS Tax Levy? In addition, anyone who owes a debt to the IRS can protect up to $7,700 in personal property and up to $3,860 worth of professional equipment or educational materials. While the IRS does not exempt automobiles from the list, an individual who relies on a car to get them to and from work can usually ask the IRS not to levy their transportation. How Can I Avoid an IRS Tax Levy? By the time the IRS has initiated a levy against your assets, you will have ignored numerous attempts to reconcile the situation legitimately. In some cases, there may be an understandable excuse. For instance, you may have not been aware of the tax debt and the IRS’s attempts to get ahold of you failed. But if the IRS sends you a notice of intent to levy, it’s best to try to work something out with them that you can live with. 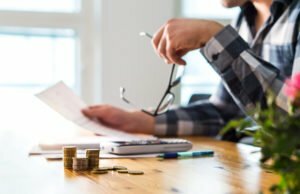 Generally speaking, the result is better than allowing the IRS to levy your bank account, garnish your wages, and come after any personal assets you might have. 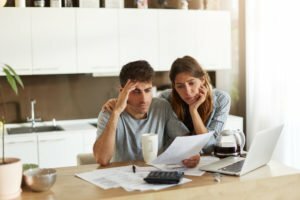 In some cases, the IRS will allow you to set up a repayment plan and even settle your tax debt for a sum less than the total amount you owe. Even if you believe that the IRS is way off base with their charge that you owe the federal government money, you should still contact them and attempt to resolve the situation. If you ignore them, they’ll escalate actions against you until you’re repaying the debt whether you want to or not. A tax levy allows the IRS to take your property and is their last resort. Once you receive a Final Notice of Intent to Levy, you only have 30 days to either pay the taxes or resolve the dispute. Do not ignore this Final Notice. Once 30 days have passed, the IRS can begin seizing your property without any further warning. The value of the levied property greatly exceeds your tax debt and a portion of the property can be released without hindering collection. You must submit evidence supporting your claims. Tax relief attorneys at the Sodowsky Law Firm can help you build a compelling argument for the removal of a levy. This typically includes a thorough analysis of your finances, tax records, and legal issues. We may be able to negotiate a temporary freeze on your tax levy. However, even if the IRS releases your levy, you still must pay or resolve your tax debt. We can also help you obtain an installment agreement or offer in compromise — reducing or spreading your tax debt into monthly payments. Hiring experienced tax relief attorneys can help avoid or resolve your tax debt. We work with our clients to create realistic and manageable solutions, handling both IRS and Virginia tax issues. Contact the Sodowsky Law Firm for more information.